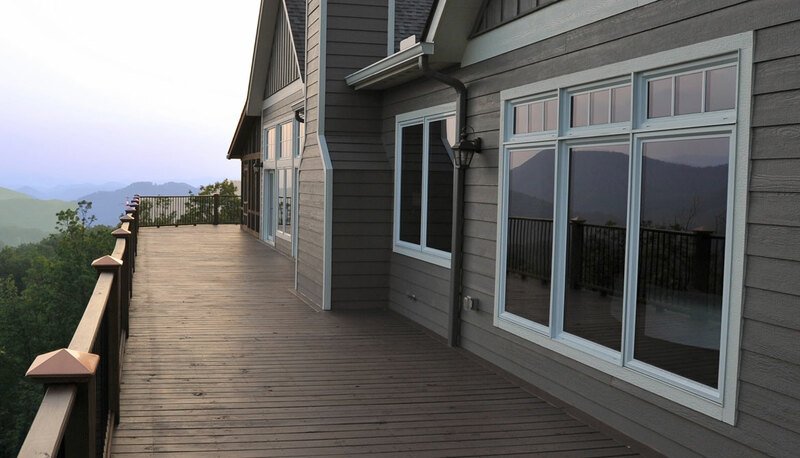 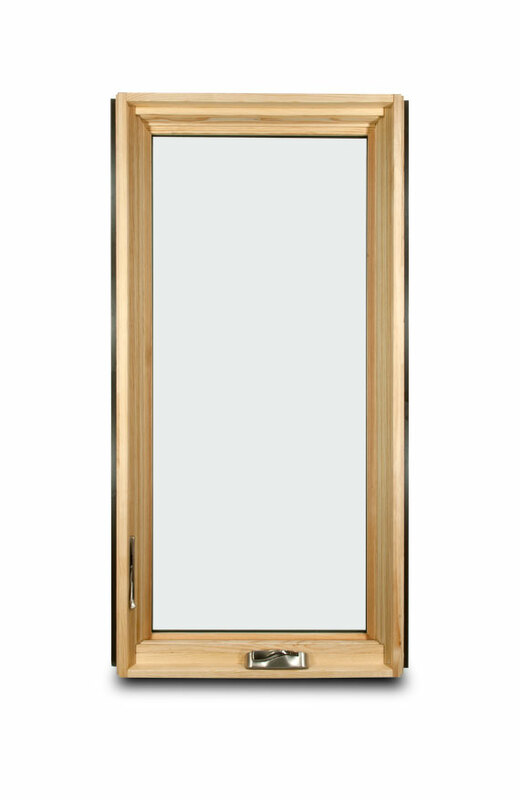 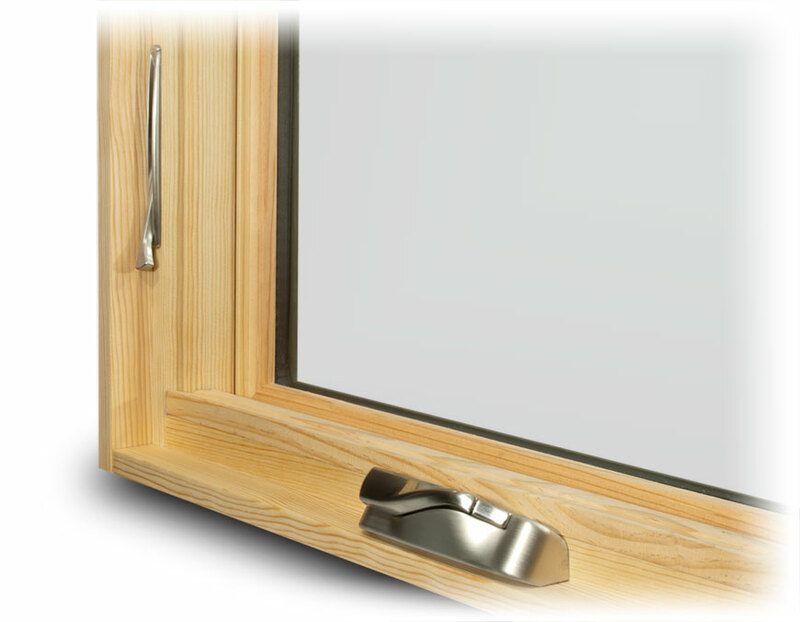 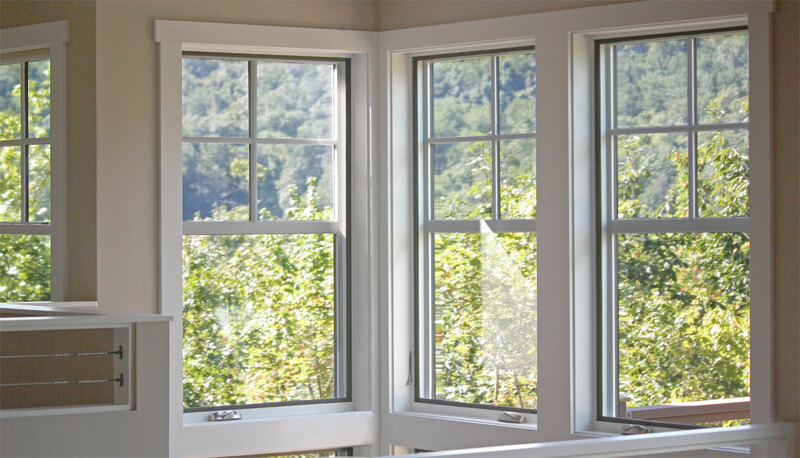 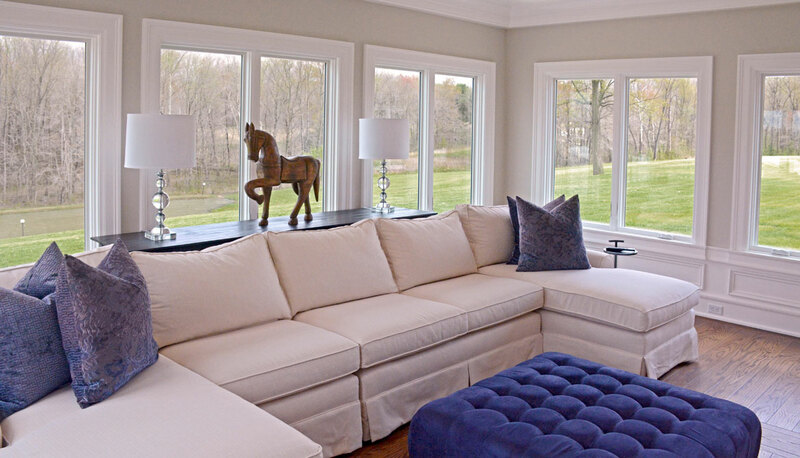 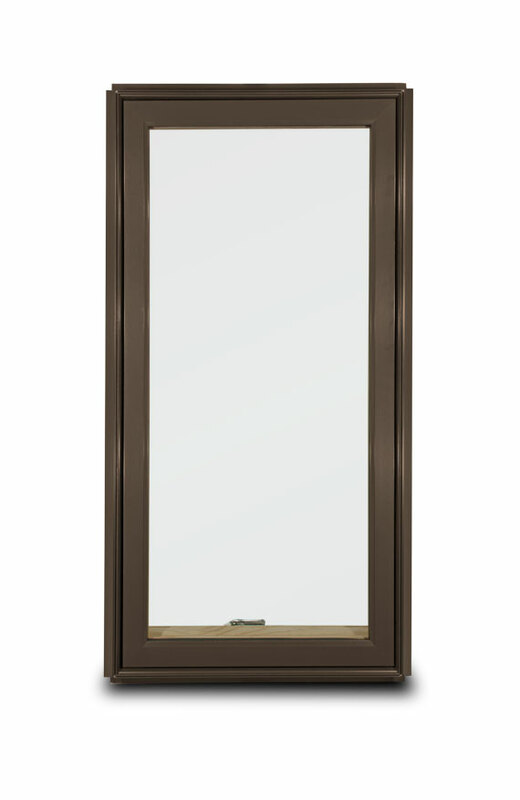 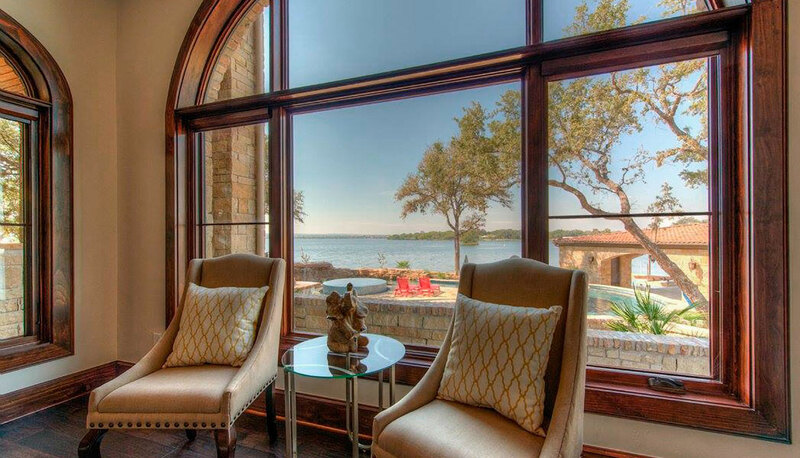 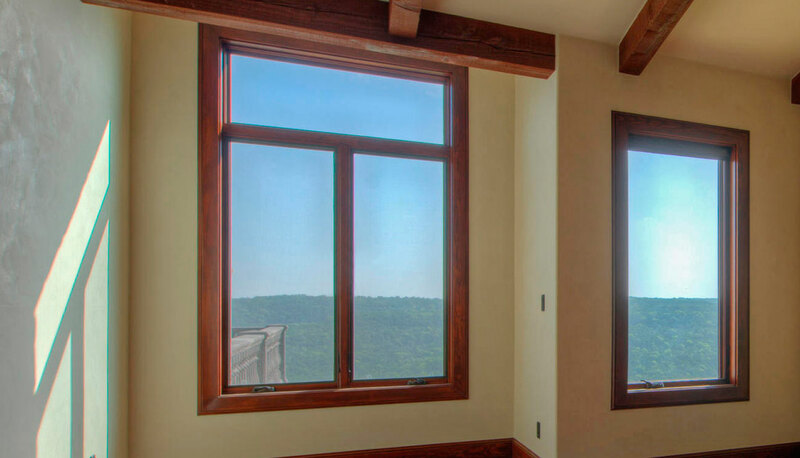 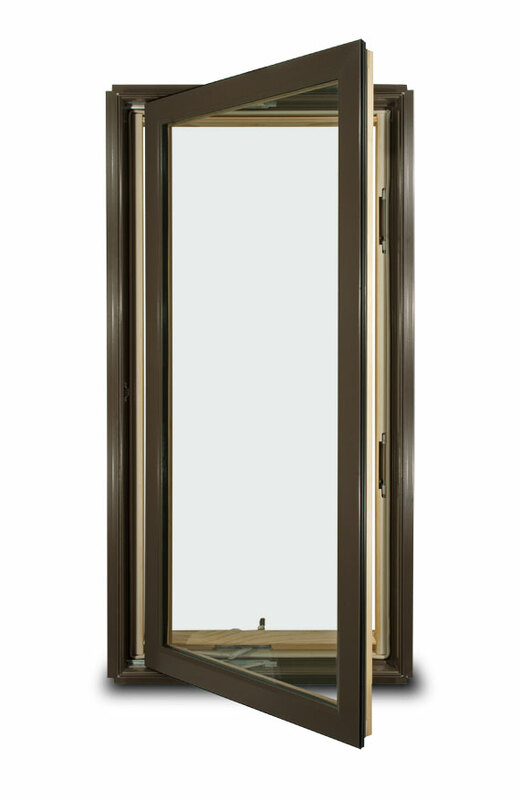 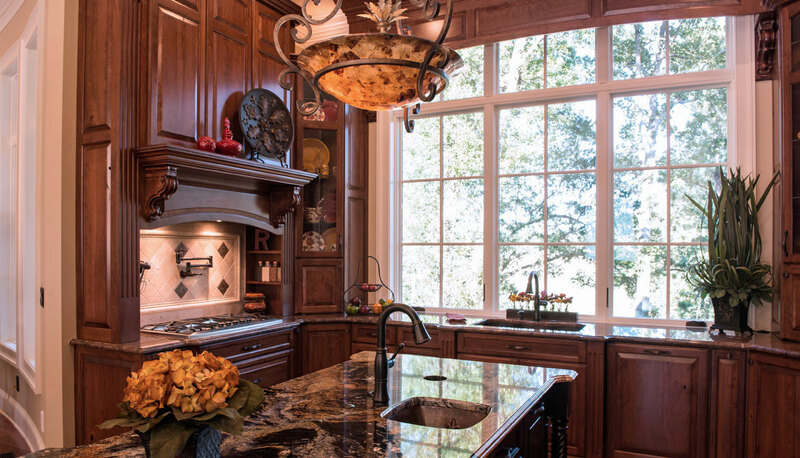 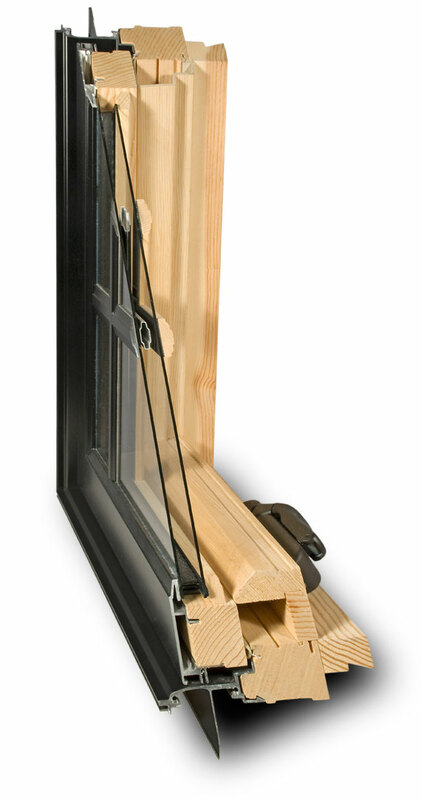 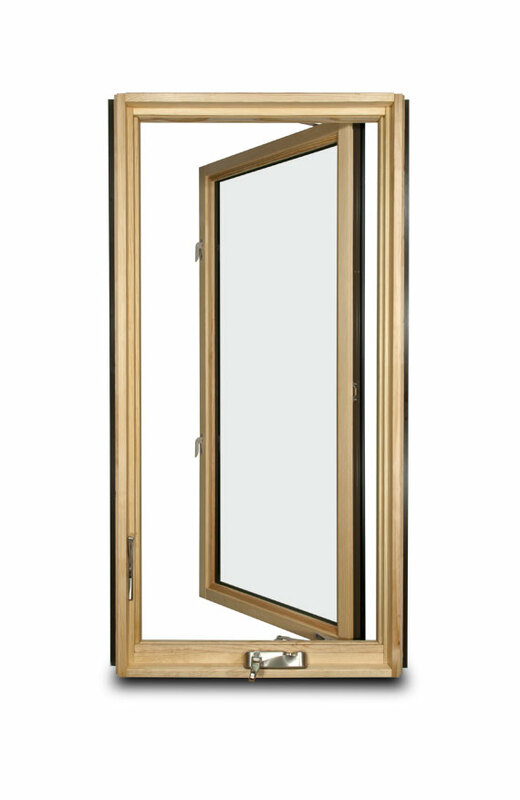 The SunClad™ Casement offers refined style and function in a high-performance window. 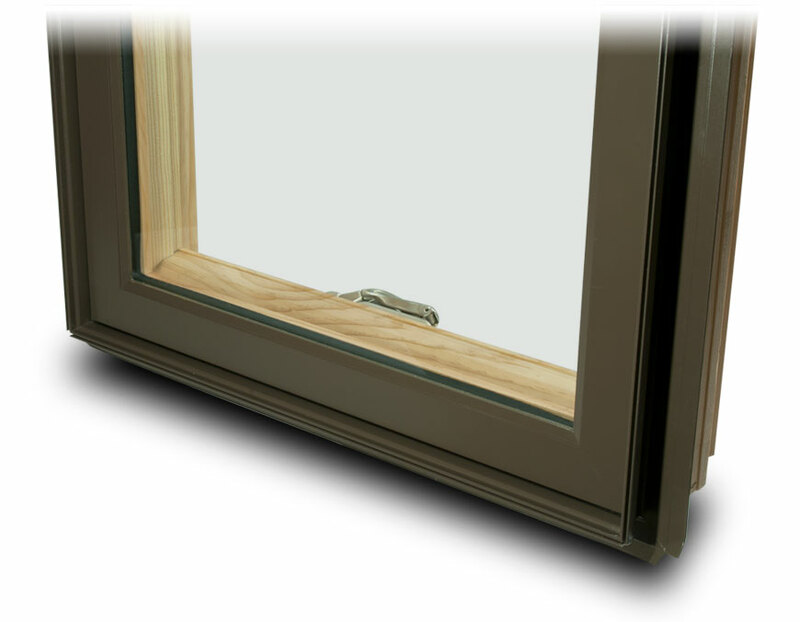 The plain profile of the sash exterior with its mitered corners and deep glazing stop provides a simple but classic appeal. 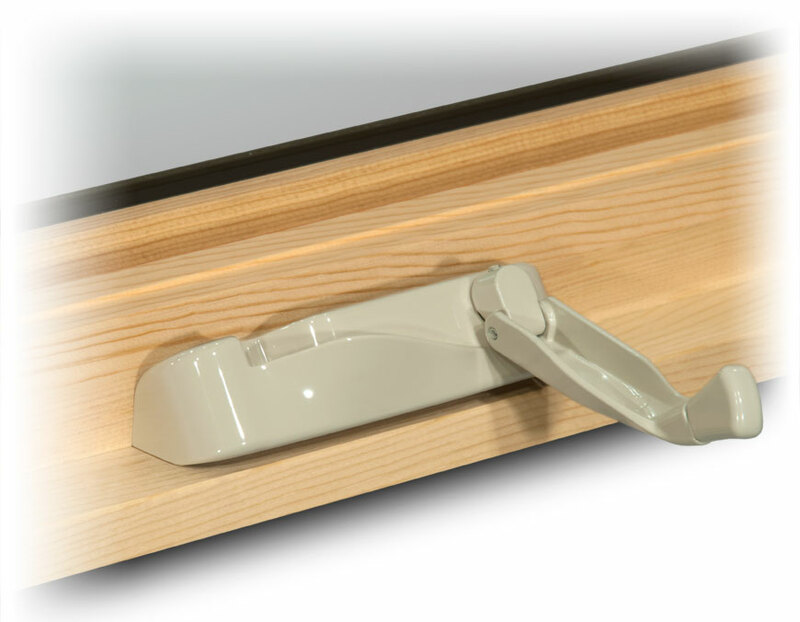 A single crank operator, with a fold-away style handle, is located on the sill to open and close the sash. 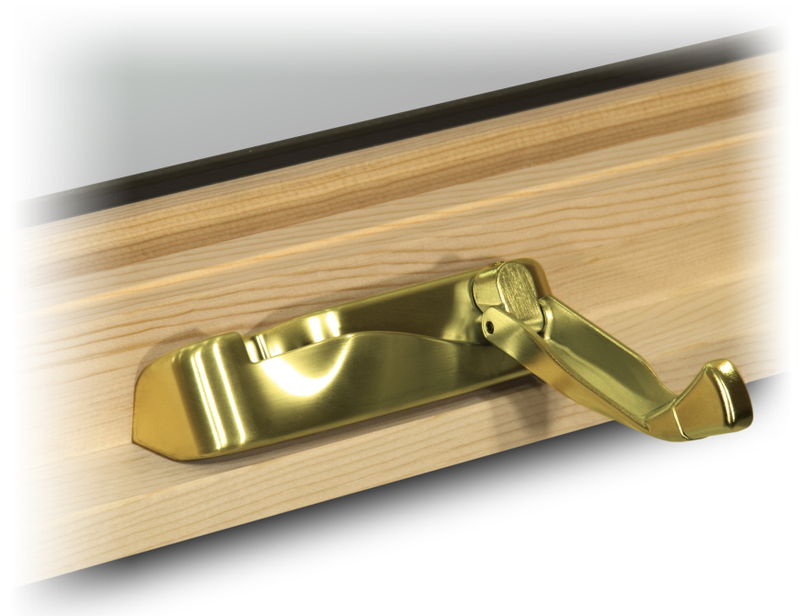 A single latch lever is located on the side jamb to unlock (and lock) the sash. 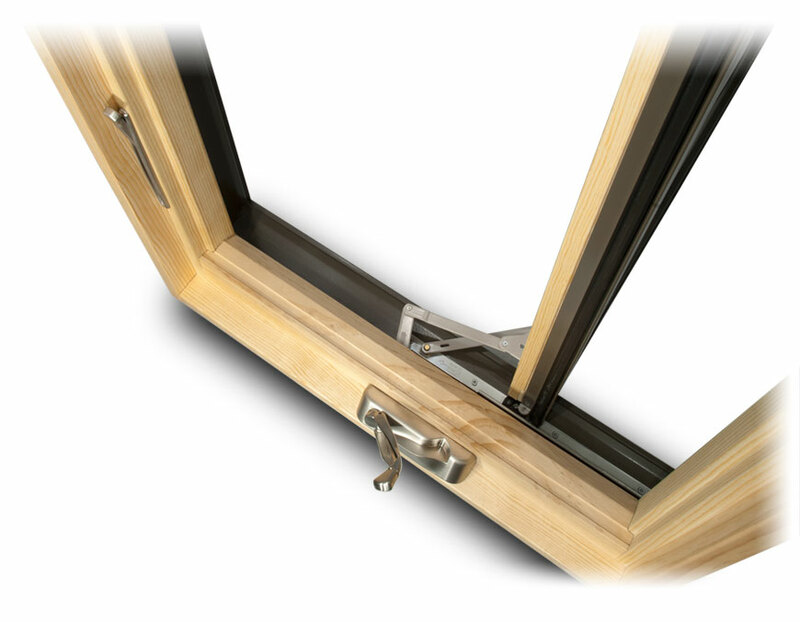 One or more latching points are activated by the lever, depending on the size of the window. 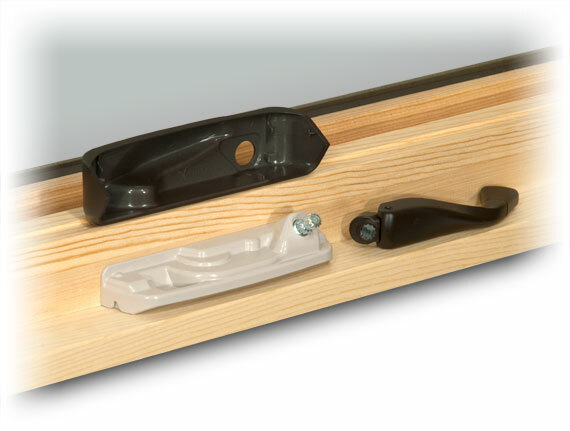 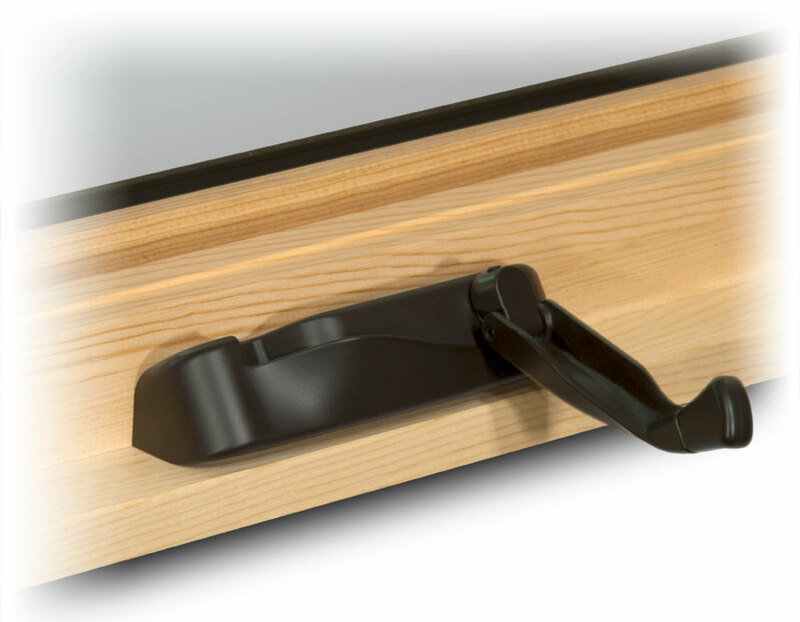 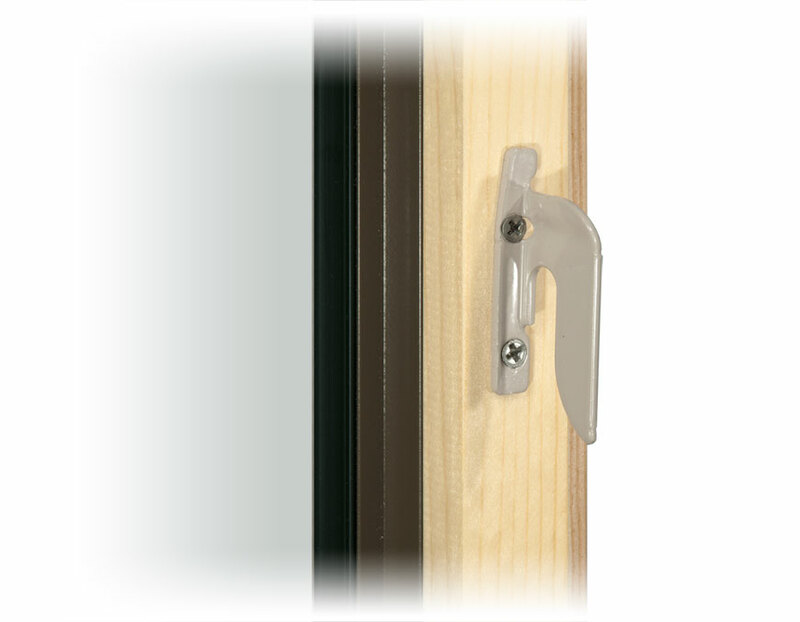 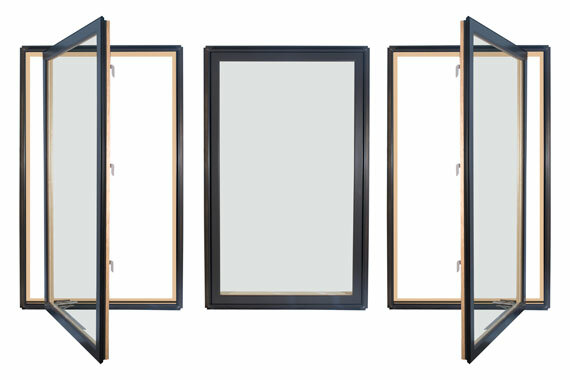 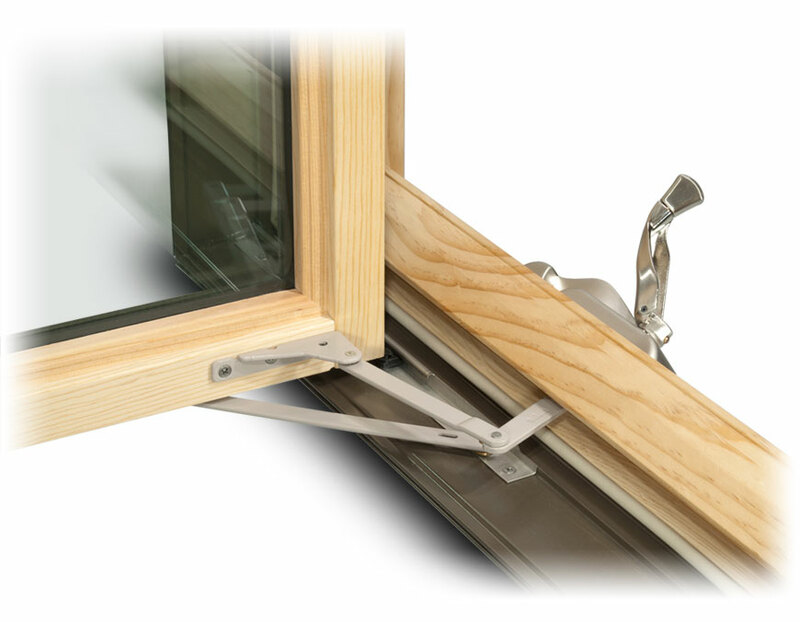 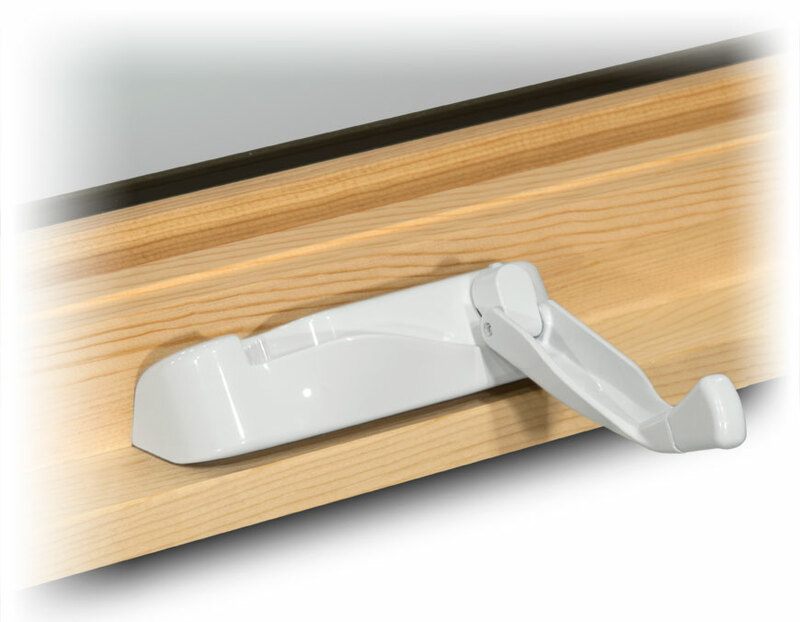 The hinge/glide system is adjustable for sash alignment to the frame. 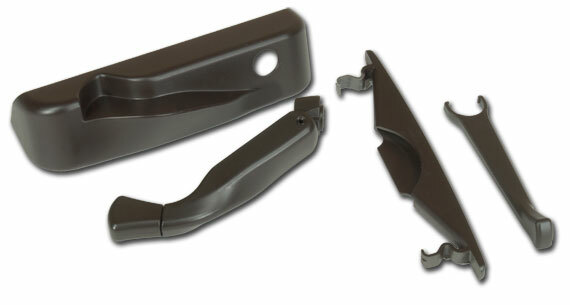 The crank operator is comprised of a metal base unit that is covered with a decorative plastic housing and an all metal folding handle in matching finish. 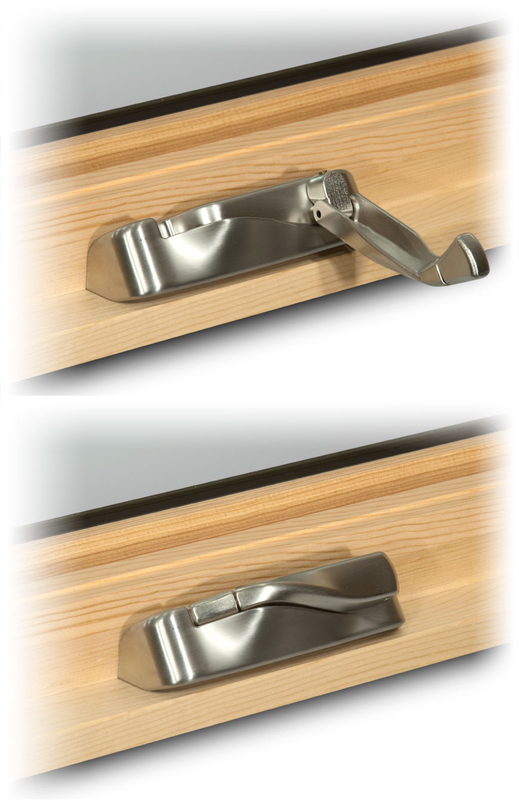 The sash latch lever is a metal component with a decorative plastic slot cover and lever handle cover. Casement standard operating hardware provides clearance on the hinge side that may allow cleaning of the exterior glass surface from indoors. 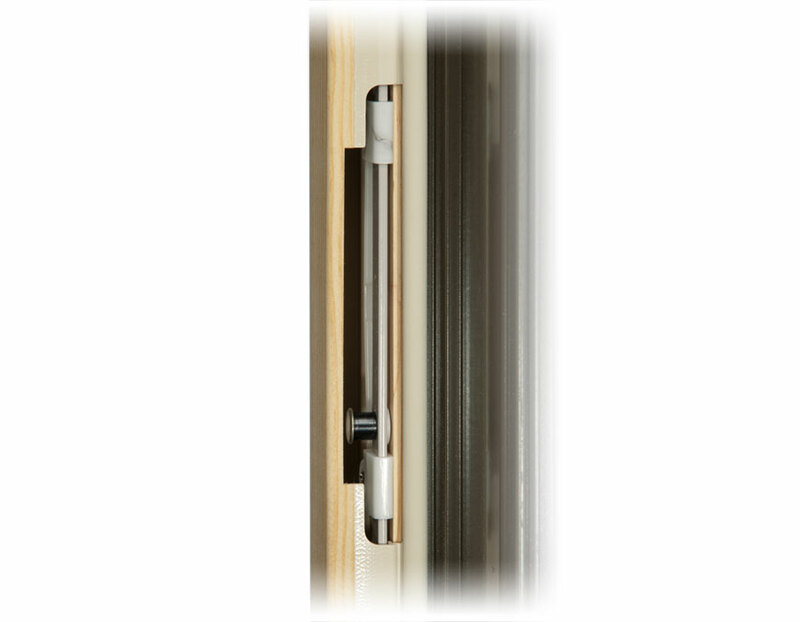 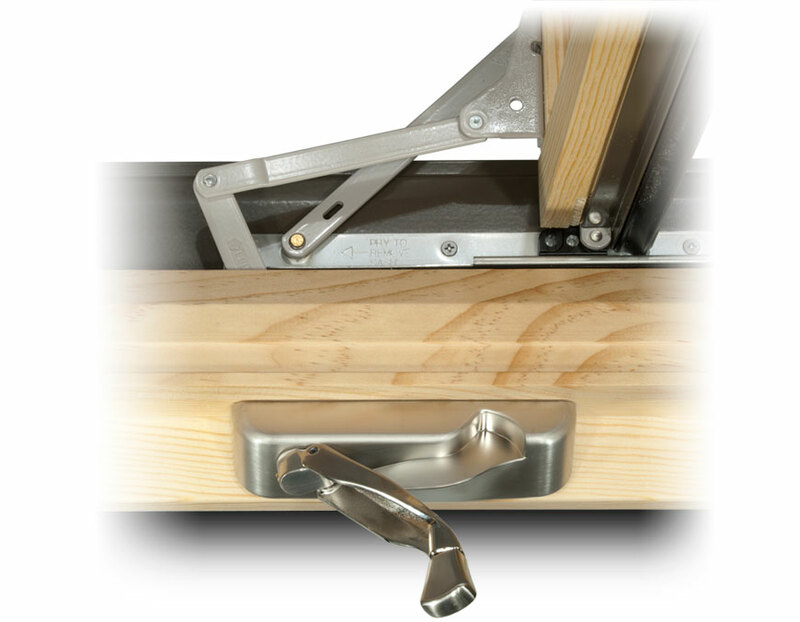 Our optional Egress Hardware moves the hinge pivot point near to the edge of the jamb. 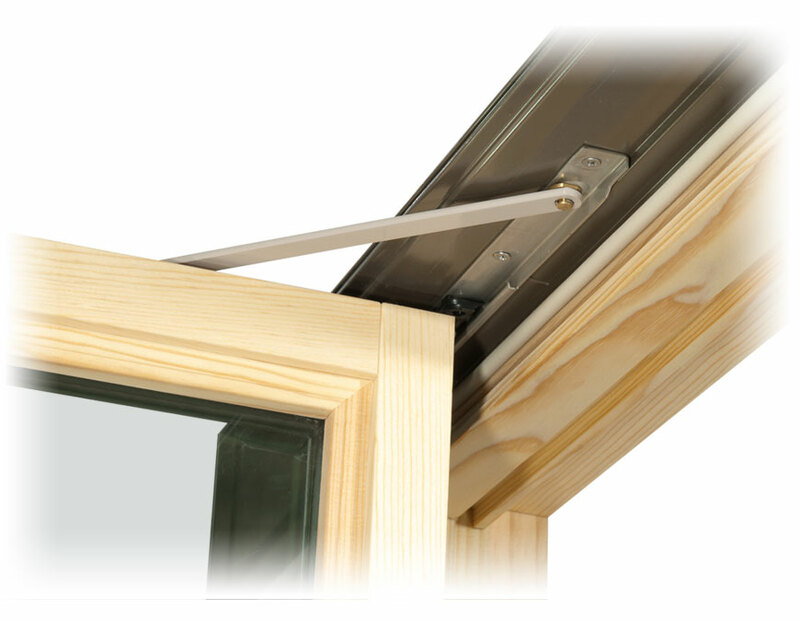 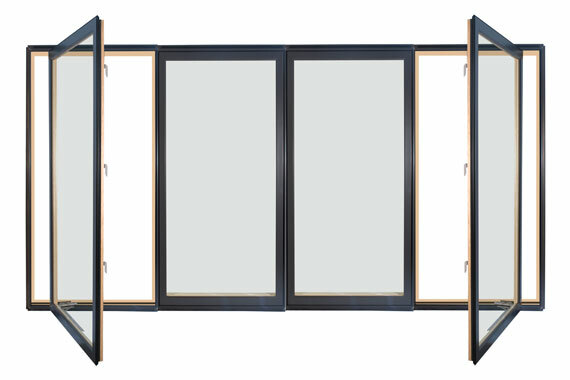 The benefit of this is realized with certain window sizes, as it can provide enough additional clear opening width to satisfy some egress codes without having to go to a wider window. 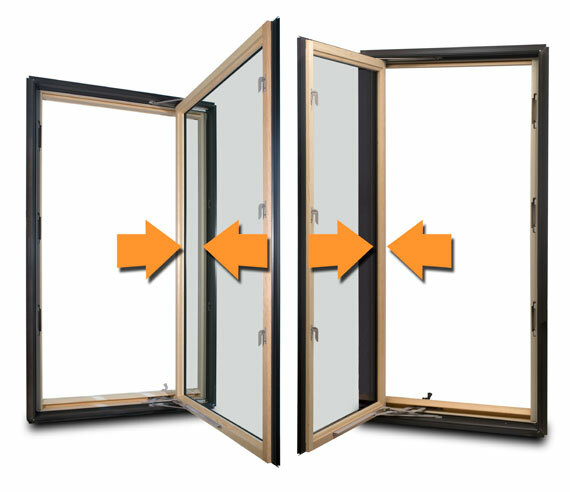 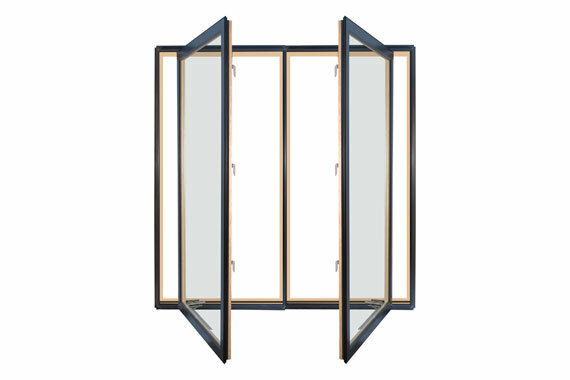 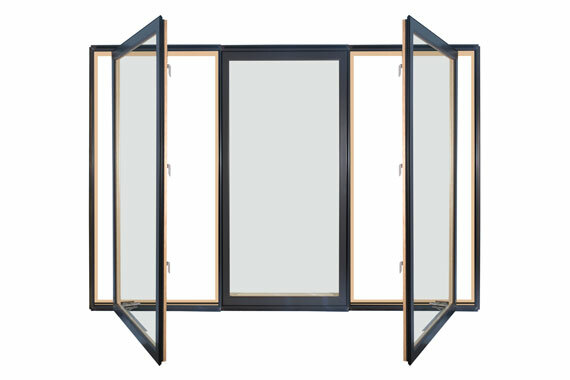 Please refer to the Casement Dimensions Sheet for the clear opening specifications. 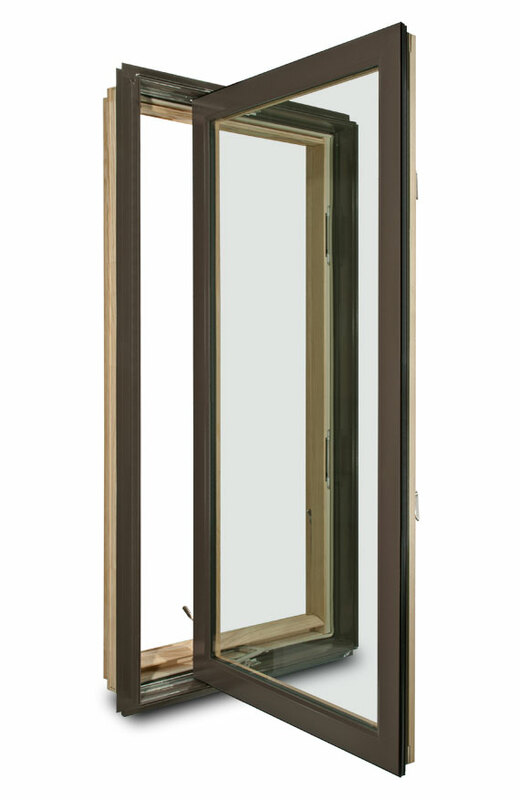 Note: using Egress Hardware does not guarantee that the window will meet your code requirements. 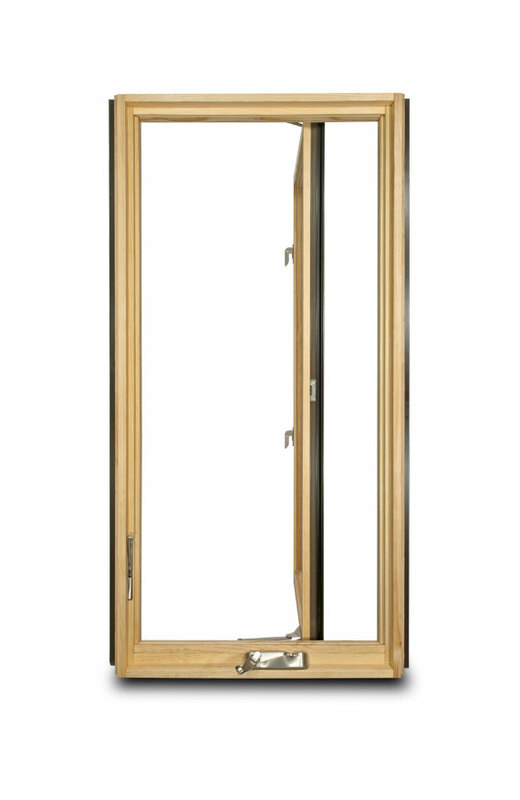 Please refer to your code and compare those requirements with our dimensions sheet. 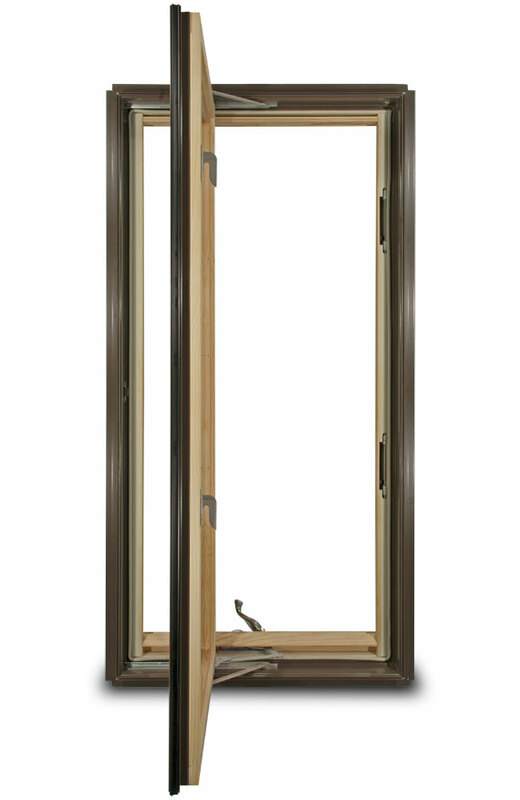 • Widths = 16”, 20”, 24”, 28”, 30”, 32”, 36"
• Heights = 32”, 36”, 40”, 48”, 52”, 59”, 64”, 72”, 78"